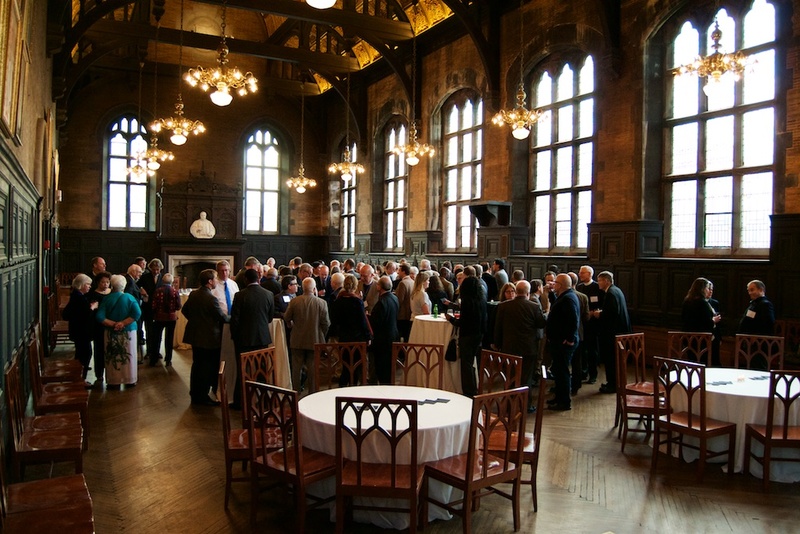 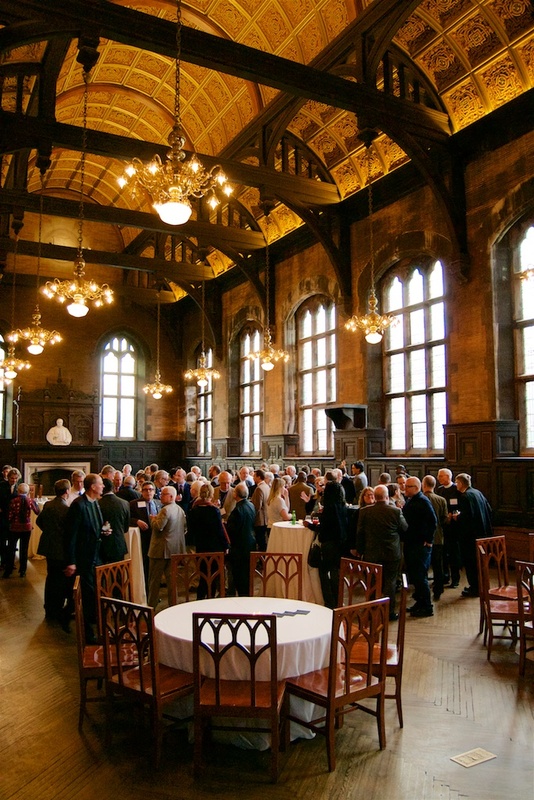 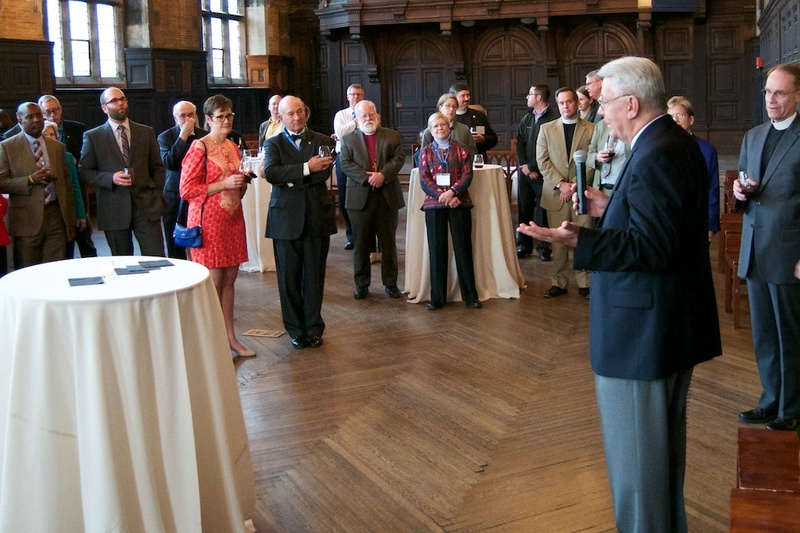 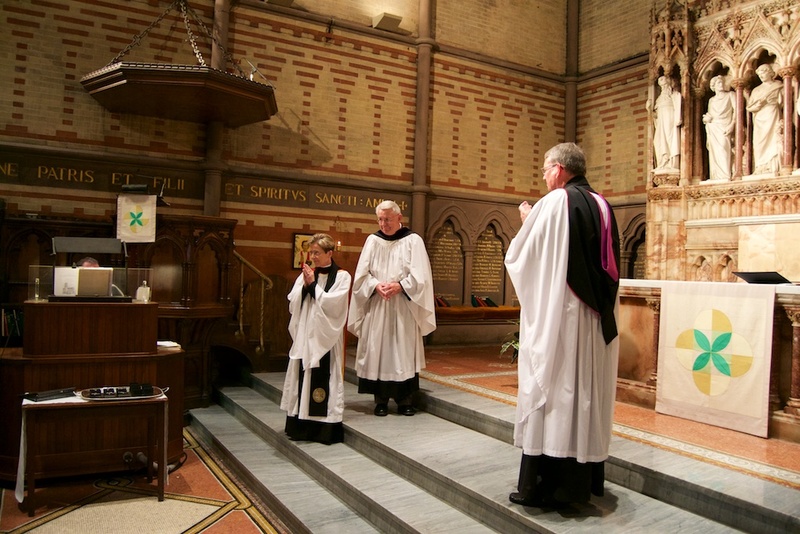 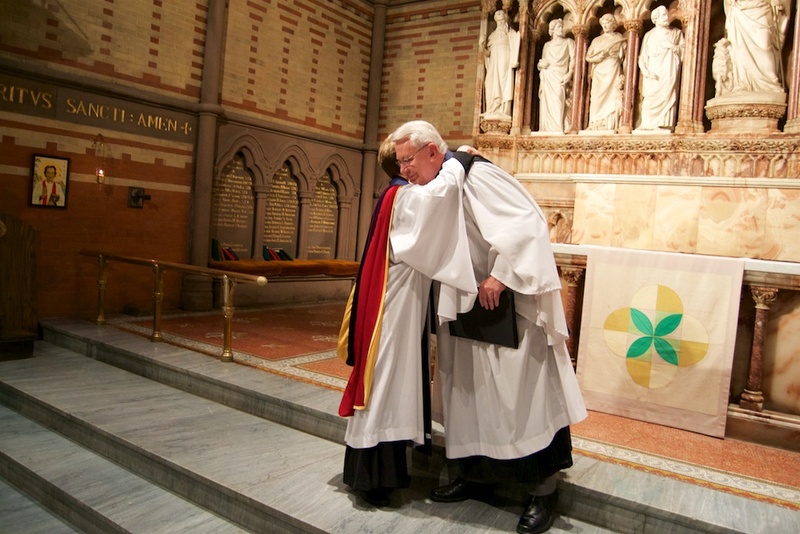 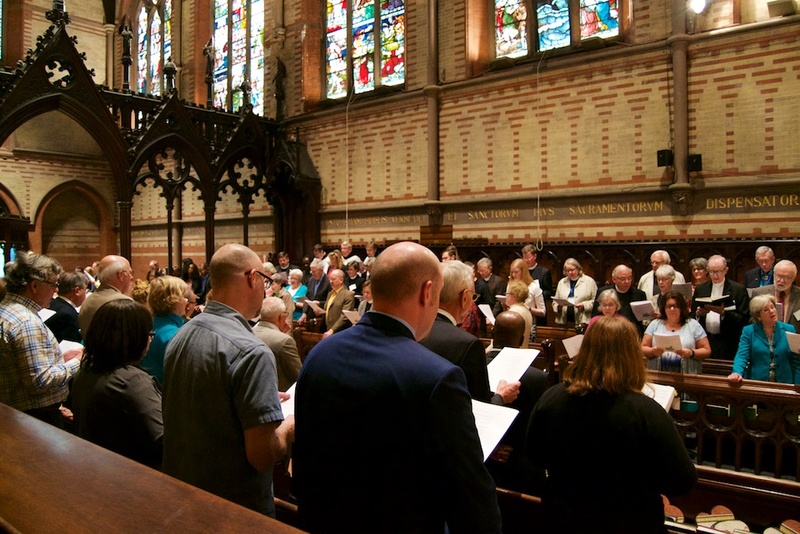 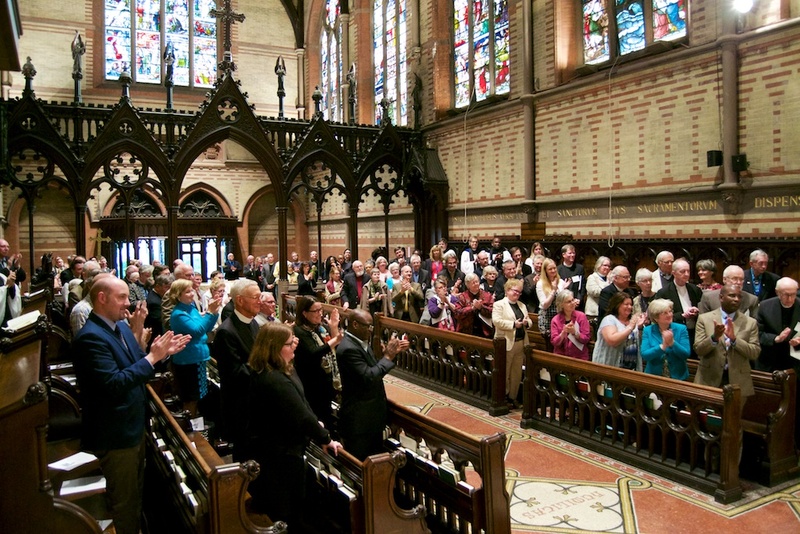 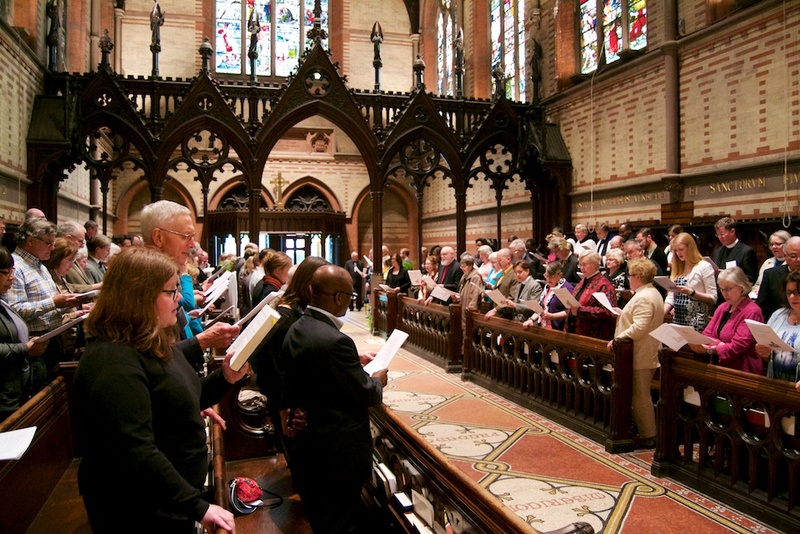 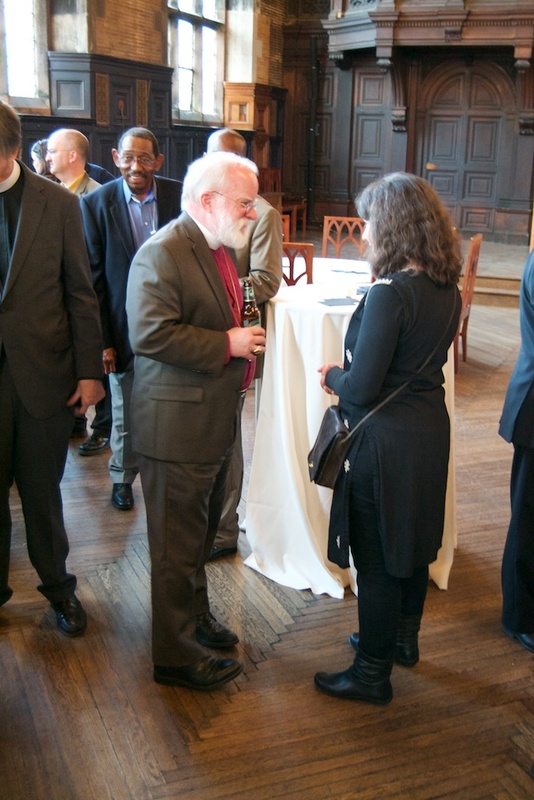 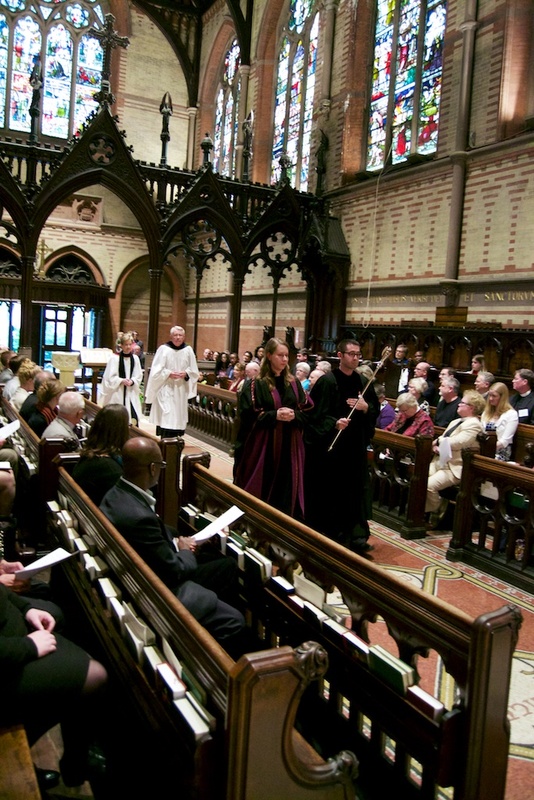 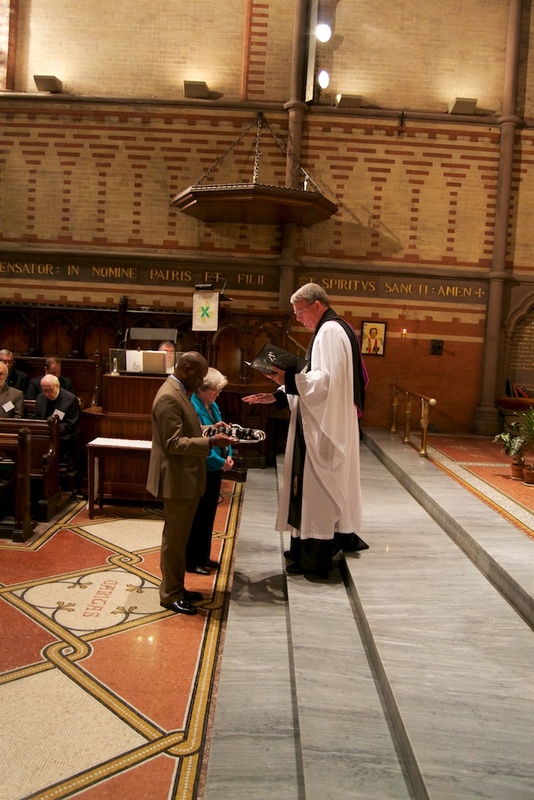 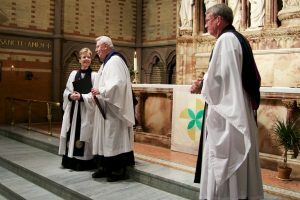 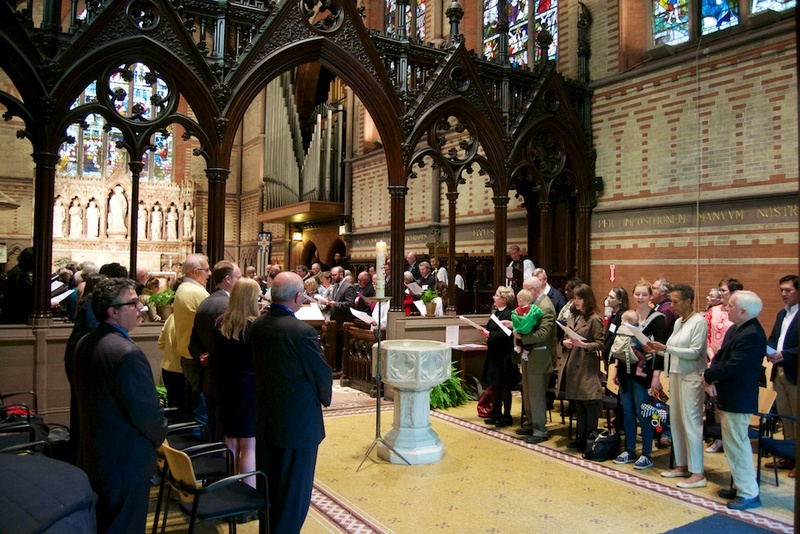 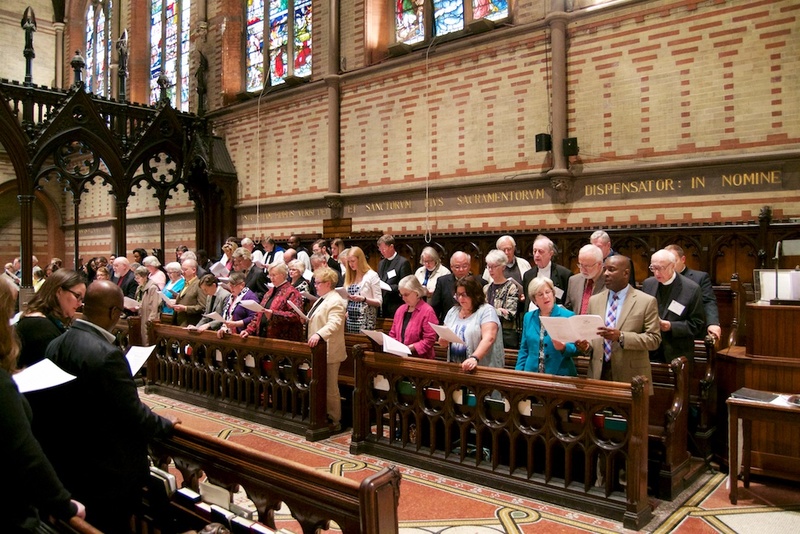 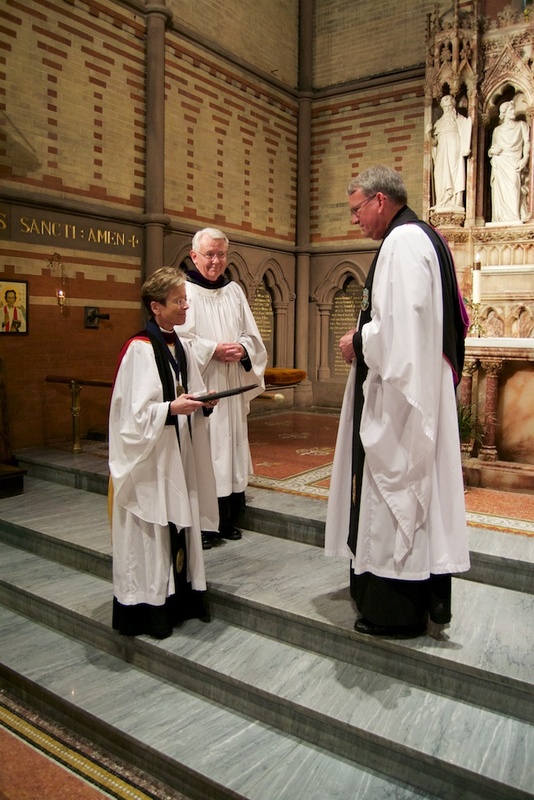 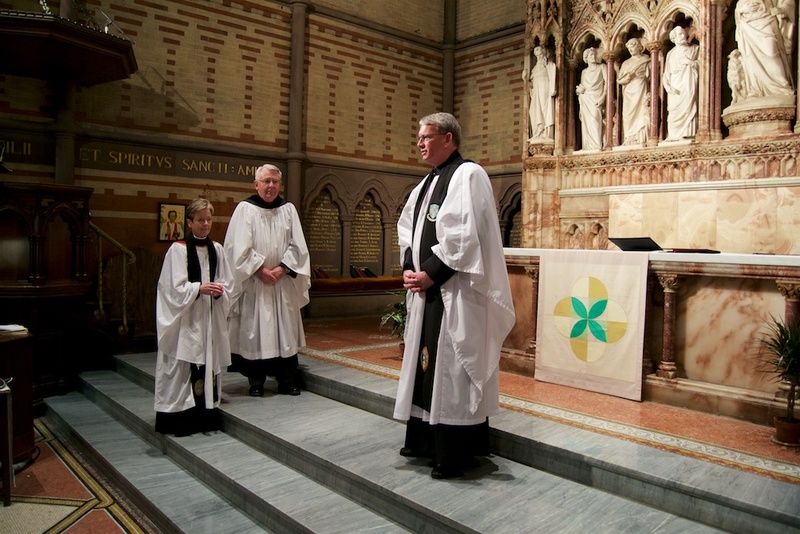 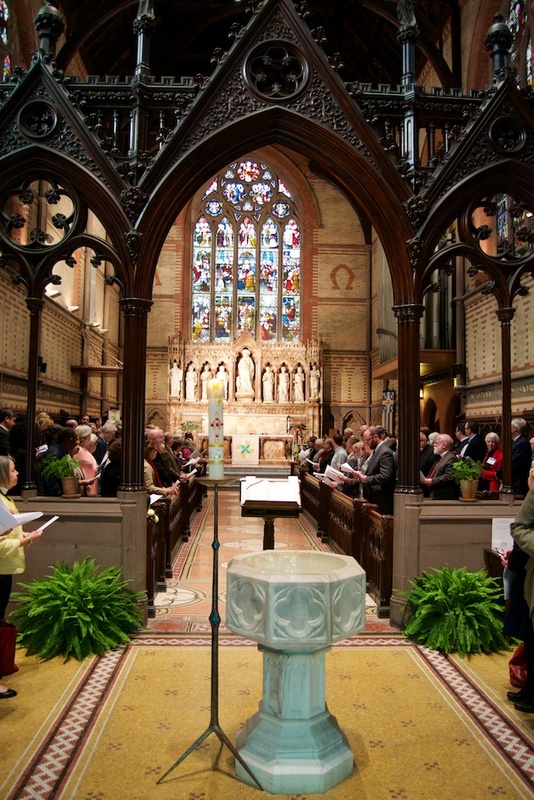 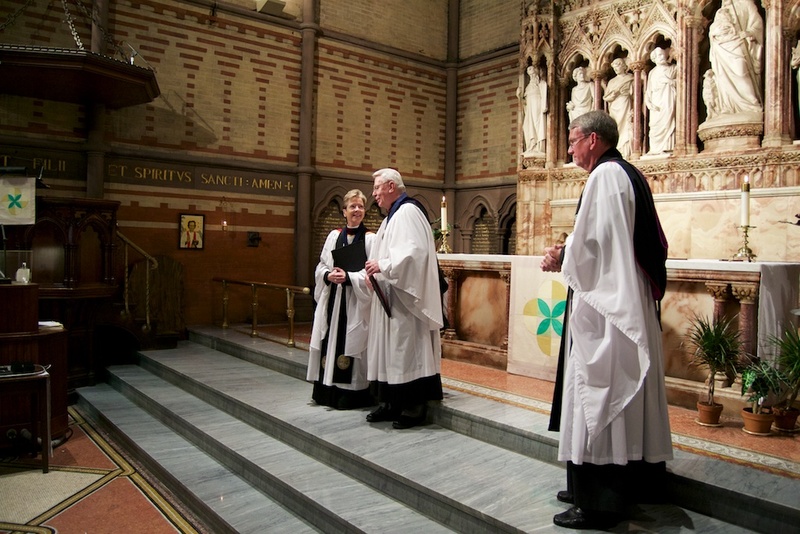 On May 9, during Commencement week at The General Theological Seminary, a special Evensong and a reception were held to honor the contributions to the Seminary of the Rev. 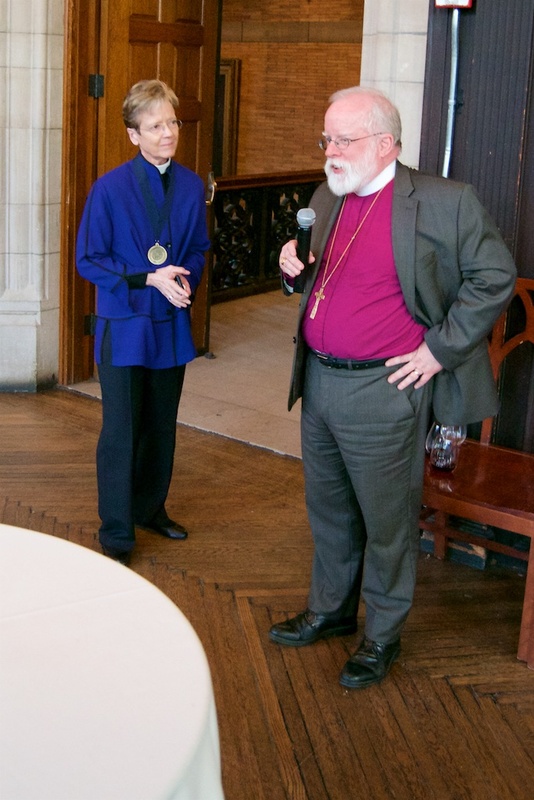 Dr. Mitties DeChamplain and the Rev. 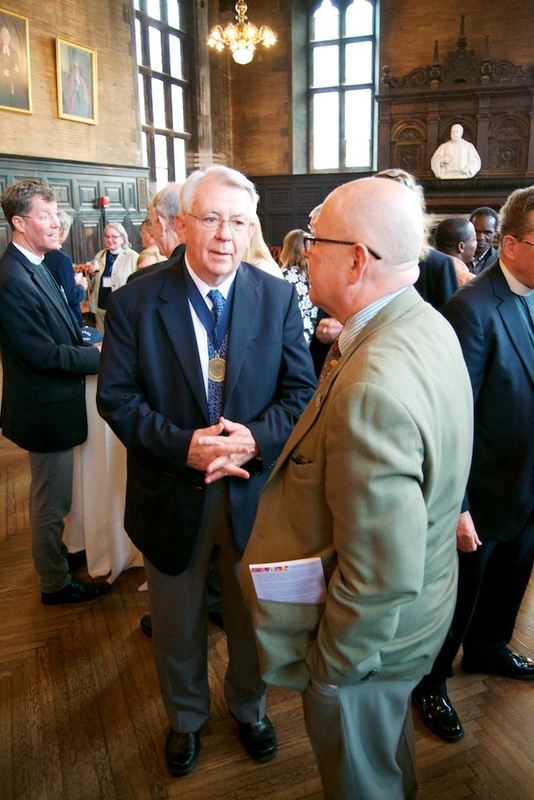 Dr. Robert Owens. 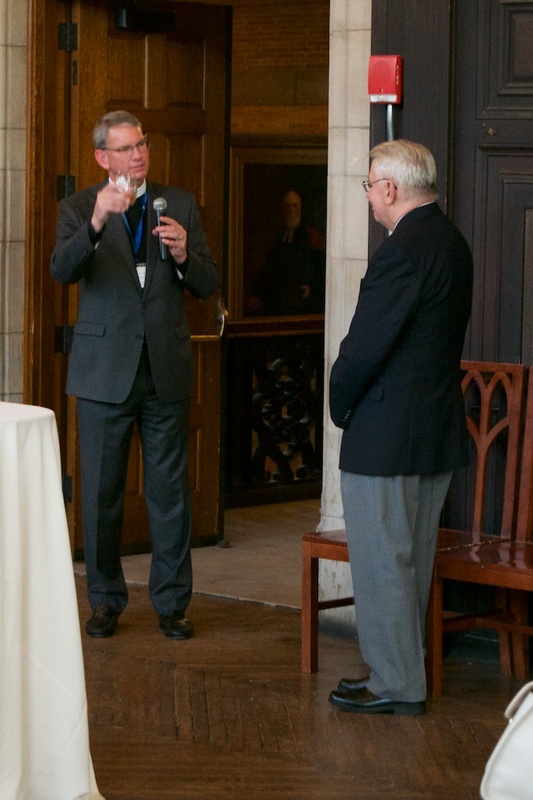 The event was an opportunity to give thanks for the years of ministry of DeChamplain and Owens at General Seminary as Professor Owens continues to venture into retirement and Mother Mitties continues her priestly ministry into new settings. 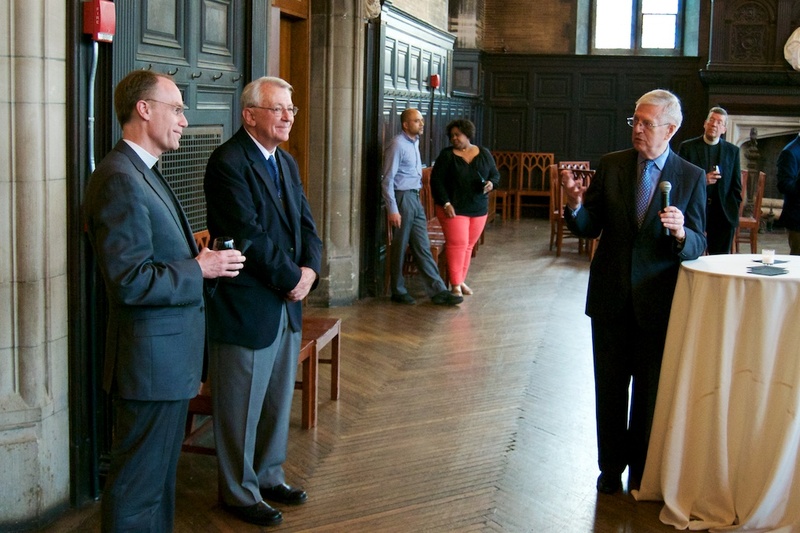 The Chapel was filled as former students traveled from near and far to recognize the significant influence these two professors had on their formation. 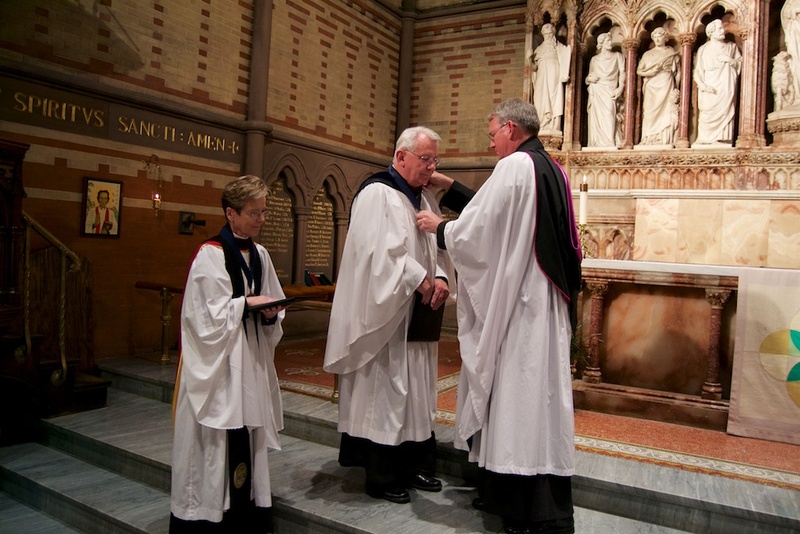 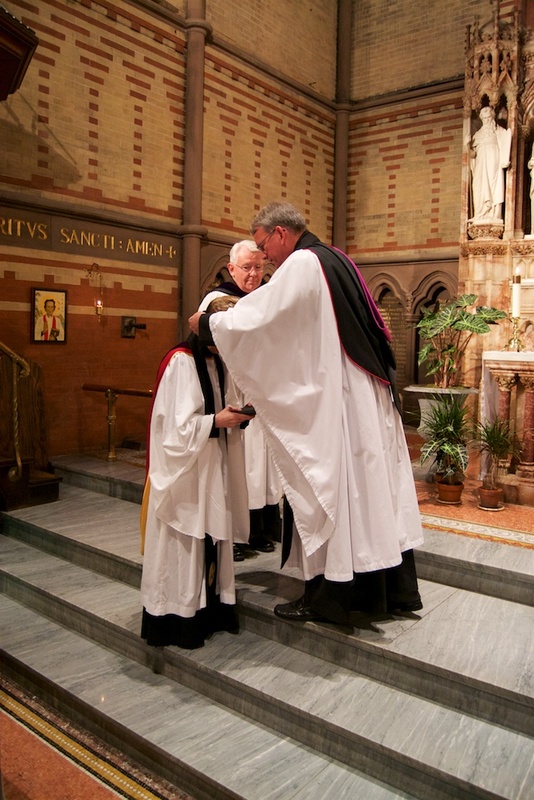 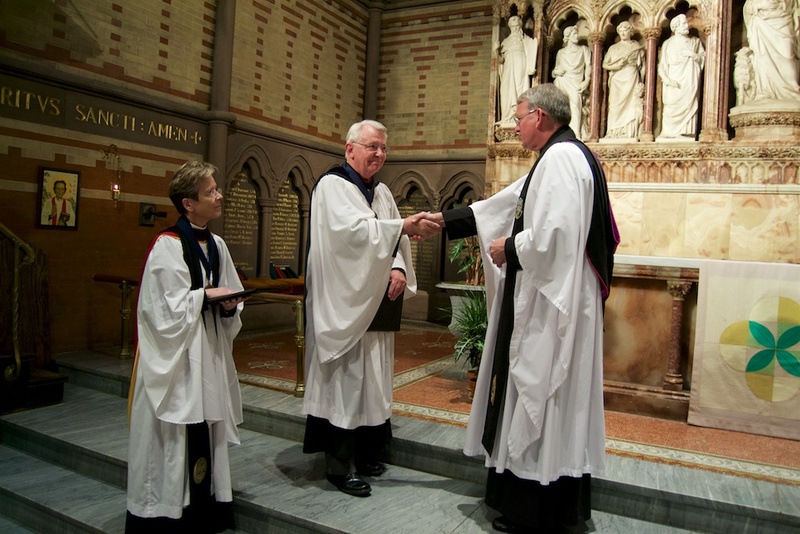 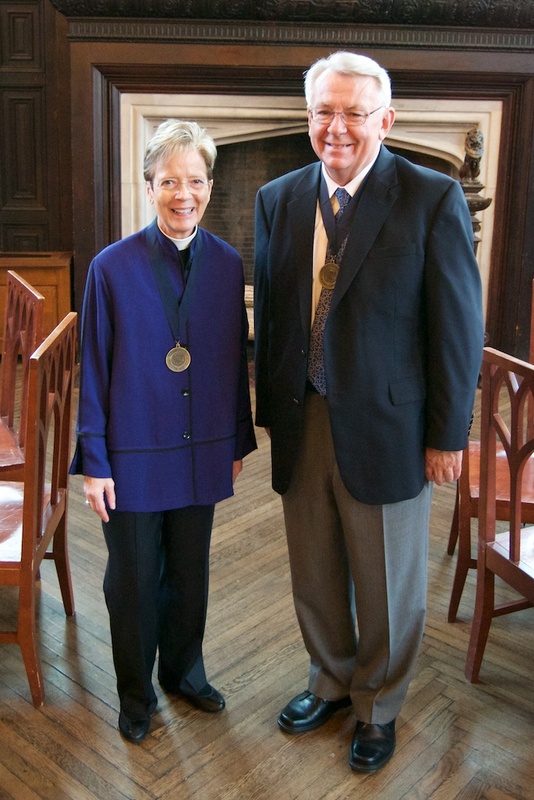 During the Evensong, DeChamplain and Owens were presented with the Clement Clark Moore Medal for outstanding achievement in forwarding the Seminary’s mission. 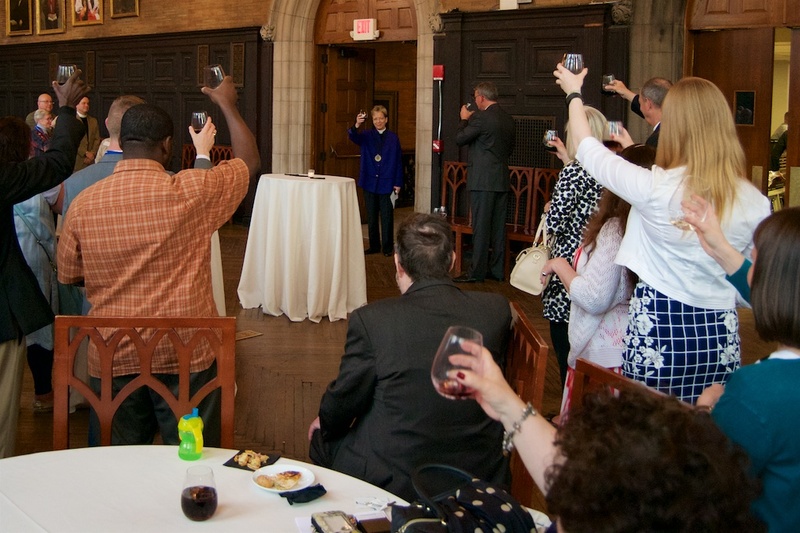 Rings and crosses for graduating students were also blessed, bringing to a suitable culmination the contributions of DeChamplain and Owen to this year’s class. 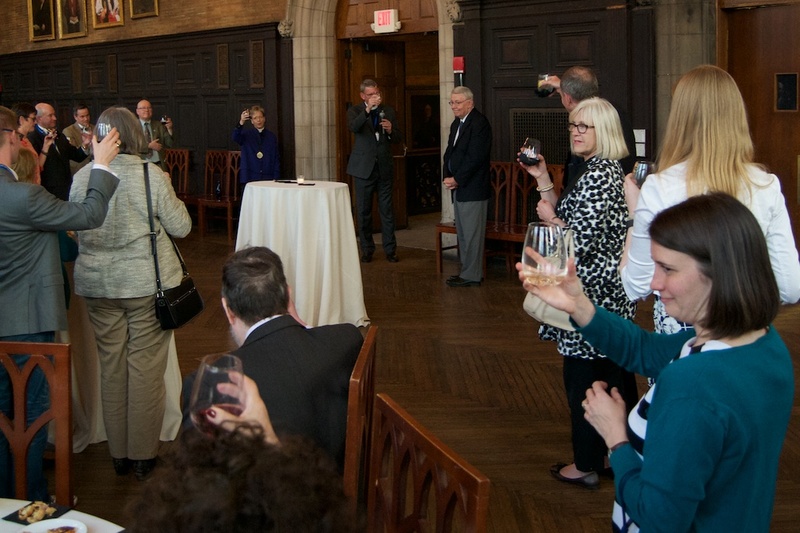 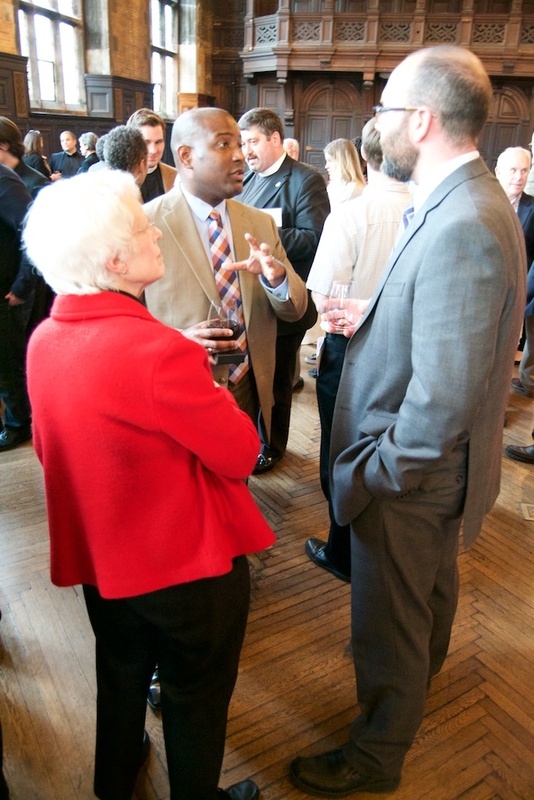 Afterward, guests, alumni and the General Seminary community celebrated their combined decades of service to several generations of students at a festive reception which included heartfelt testimonials. 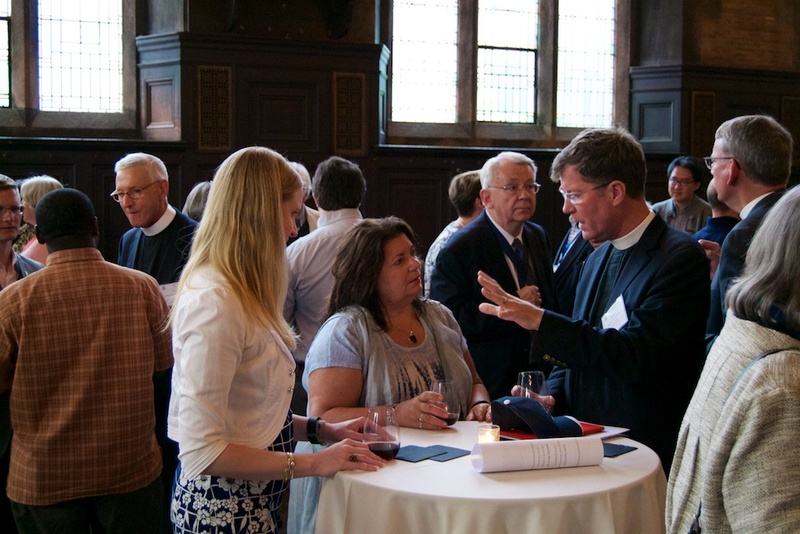 The following evening, Prof. DeChamplain preached and Prof. Owens. 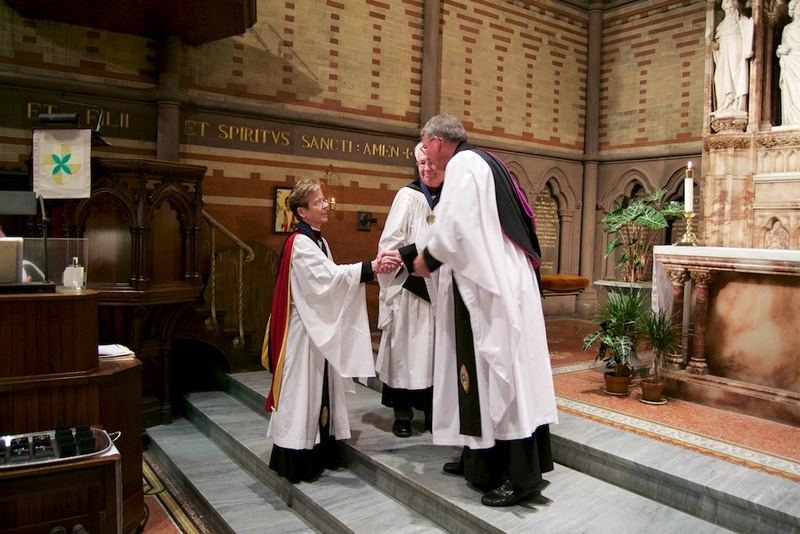 officiated at the Baccalaureate Evensong as part of the Commencement celebrations.